bristles which penetrate into the laminate to remove and buster air bubbles whilst producing a very effective consolidating action. can be simply pulled off for cleaning or replacement. 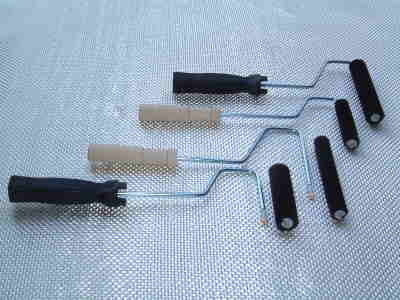 Grip of handle are plastic and wood available. by commonly used cleaning material. laminates. 4mm short nap is also available. All are available many sizes for both diameter and length. Using for narrow and corner areas and also thin part.